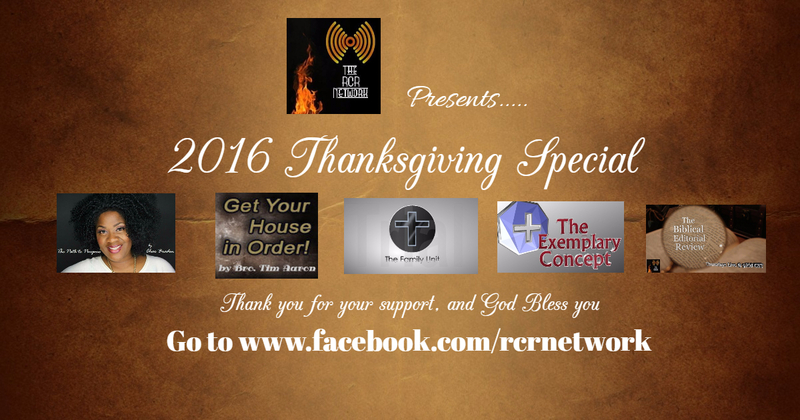 As a token of appreciation, we are launching our 2016 Thanksgiving Special on Wednesday, November 23rd through Monday November 28th 2016. Non-stop of inspiring, uplifting, encouraging and learning shows from all of the hosts of our radio network. Listen, share and give thanks to Father God for Jesus Christ and thank you for your support. Check us out on: Facebook, Twitter, Apple, Android and Radio Site.